Peugeot’s sporty 308-based Peugeot RCZ two-door coupe will now be available to hire exclusively through Avis ‘Select Series’ scheme as it adds 75 of the new cars to its fleet. Launched by Peugeot in the UK last year, this is the first time that the car has been available to the car hire market. Avis ‘Select Series’ offers customers the opportunity to guarantee the make and model of their rental car choice, particularly appealing to motoring enthusiasts and the more discerning looking for a specific model. Having already received impressive reviews, including various accolades like Top Gear’s 2010 ‘Coupé of the Year’, the Peugeot RCZ with its distinctive double-bubble roof line is an apt addition to the existing Avis range. Unite, the union representing the majority of British Airways cabin staff, is organising yet another ballot, the fourth. The call is for a strike, or series of strikes, during the busy April period, which includes Easter. 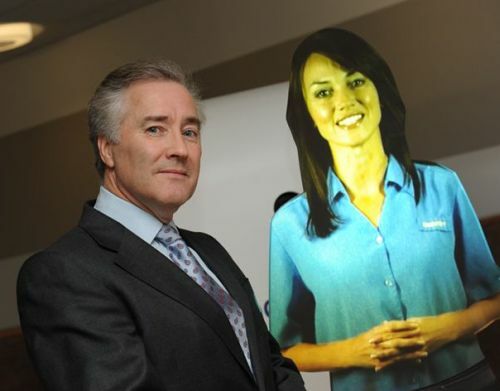 In spite of stepping down as Chief Executive (he now holds the same position with parent company IAG) Willie Walsh will remain in charge of negotiations leaving the new CEO Keith Williams dealing with other matters. The ballot opens on Tuesday (1 March) and closes on 28 March. 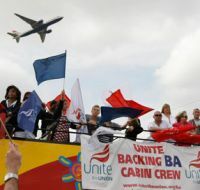 The union has made the claim that BA has targeted the organisers of the protest saying that 18 members of Unite have been sacked and another 70 suspended during the dispute. 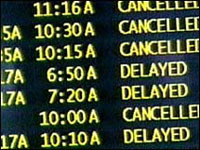 The British Airways retort is that the union has not received a majority call for the action. The first A380 for Korean Air has been rolled out of the Airbus paint shop in Hamburg bearing the airline's distinctive livery. The aircraft is the first of 10 A380s ordered by the airline. Korean Air will become the sixth operator of the A380 when it takes delivery of its first aircraft in the second quarter of this year. Korean Air will initially operate the A380 on flights from Seoul to Tokyo, Hong Kong and Bangkok, followed later in the year by transpacific services to New York and Los Angeles. With airline passengers getting used to the idea of ticketless travel (and even cheque books said to be on their way out) Transport for London (TfL) is planning to role out a scheme in 2012 that just involves the swiping of a credit card. This will be across the whole transport network including buses, Tube, DLR, Tram and London Overground. 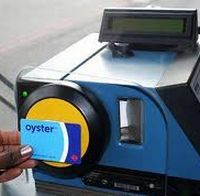 By the end of next year card readers across the whole of the TfL network will have been upgraded so that a touch of a contactless bank or credit card will allow passengers to touch in and out for pay-as-you-go travel. The new system will be up and running on all of London's 8,000 buses in time for the 2012 Games, enabling quick and easy bus travel for the millions of visitors expected to flock to the UK capital. 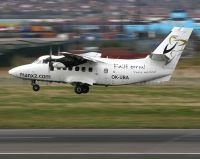 Press reports in Belfast suggest that Manx2 is to stop its service from the dockside airport to Cork at the end of the month, although at the time of writing this could not be verified from the company's website. Manx2 is a virtual airline or ticket provider. It sells seats on a plane but the aircraft is owned and operated separately. It was involved in a fatal crash 10 February on a flight between Belfast and Cork in which six people lost their lives. Lawyers for one of the survivors have accused Manx2 of reneging on its responsibilities after the airline claimed a lawsuit for damages should be taken against the Spanish operators, Flightline BCN. The aircraft was owned by Airlada. 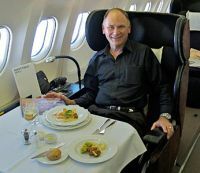 Lufthansa-owned SWISS will this week introduce a new First Class product on its long haul services (Wednesday 2 March). Under the new concept guests will enjoy even swifter and more individualised service, together with a wide selection of in-flight meals. Further on-board innovations will include the introduction of contemporary fine bone chinaware and Riedel glasses, together with additional service accessories in a new design. Customers travelling on night flights will benefit from a quicker service thanks to a new à la carte dining concept that will give them greater choice in how they use their time aloft (or simply a longer sleep). In a first for Virgin Blue, the airline will now offer Business Class on its domestic network. Two brand new Airbus A330 aircraft commence operations in May this year, providing a three times daily service from Sydney to Perth. Features of the new service include a 62-inch seat pitch in Business Class and luxury leather seating, seatback multi-channel in-flight entertainment and a range of high quality food options. IHG (InterContinental Hotels Group) has opened the Hotel Indigo Baton Rouge Downtown Riverfront in Louisiana following a US$25m renovation. Once known as the historic Hotel King before being converted to a dormitory during the Depression and then a state office building, the seven-storey building traces its roots back to the 1920s. In 2009, the transformation was begun to restore the building to an upscale boutique hotel reflective of the surrounding community. 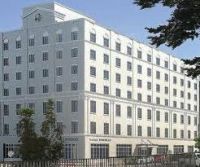 Featuring 93 rooms and panoramic views of the Mississippi River or historic Baton Rouge, the hotel maintains much of its original architecture. British Airways is to launch two new routes from the Docklands airport to Malaga and Faro in June and add more summer frequency to Ibiza, Nice and Palma. The four times a week services to Faro start on 7 June and the three times a week flights to Malaga start on 8 June. Both routes will operate year round. The existing Nice operation will increase to double daily flights from May until September, and from July to September both Ibiza and Palma flights will be increased from four to 10 a week. Sofitel, part of the Accor Group, will open nine new hotels globally around the world this year including the first property in India. Located in the centre of Mumbai, in the financial and commercial district, the 302-room hotel will offer French flair and what it calls “decadent amenities” as well as the branded So FIT gym and So Spa. 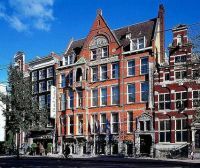 One of the most interesting of the new properties is the Sofitel Amsterdam, the Grand, opening as a Sofitel Legend in June 2011, and centred around the city's former Council Chamber and Chambers of Marriage. The hotel also contains the only raw bar in Amsterdam and is within walking distance of the Van Gogh Museum, Royal Palace and Anne Frank's House. Following what is becoming a rush after a trend Lufthansa is adding Rio de Janeiro at the start of the winter season, later this year. The airline joins amongst others whose 2011 plans include British Airways to Buenos Aires, Iberia to Fortaleza and Recife and KLM to Sao Paulo. 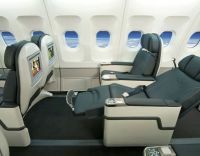 The new non-stop service from Frankfurt will be launched on 30 October 2011. Flights will be operated five times weekly with an Airbus A340 configured with 221 seats in a three-class layout with eight passengers in First Class, 48 Business Class, and 165 Economy Class. Flight time is around 12 hours. Rio de Janeiro is one of the venues for the 2014 World Cup in Brazil and will also host the Summer Olympics in 2016. The airline had previously flown to Rio from 1956 until 2005. City of Derry Airport has finally now a proper dual carriageway access from Londonderry itself. Last week the £45m A2 scheme was officially opened after two years of congestion and disruption. It involved upgrading nearly five miles of the old single carriageway road. The road includes three new roundabouts located at intersections at Campsie, Broadbridge and at the airport. 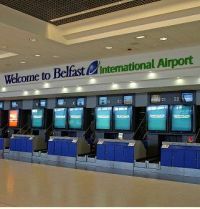 The new road has once again focussed attention as to whether Northern Ireland needs three airports, one (International) of currently around 5m passenger throughput, Belfast City of 2.7m and Londonderry 338,000. The City of Derry Airport has been the subject of an on-off relationship with Ryanair. With the worst of the Canadian winter weather now hopefully departed Ritz-Carlton has heralded spring with the opening of a new hotel in Toronto. Located in the heart of the downtown entertainment area and at the crossroads of the financial and performing arts districts, The Ritz-Carlton, Toronto claims to bring a new level of luxury to the city. The 53-storey building features 267 guestrooms including 56 Corner Suites, 2 Deluxe Suites and The Ritz-Carlton Suite at over 2,400sq ft.
With unimpeded north or south facing views of the city or Lake Ontario, all the accommodation offers floor-to-ceiling windows with heated perimeters. The bathrooms feature heated marble flooring, dual vanities embedded with 22” HD television screens, private rain showers and soaker tubs. The Ritz-Carlton Club Level on floors 18 through 20 includes access to the elegantly-appointed 20th floor Club Lounge, with magnificent water views, personal concierge and continuous complimentary food and beverage presentations throughout the day. On 2 February David Learmount, Flight International’s long-time Operations and Safety Editor, gave a lecture exploring the aftermath of the volcanic ash crisis of April/May 2010, when Iceland’s Mt Eyjafjallajökull spewed ash over much of Europe. The talk took place at Brooklands Museum, under the auspices of the Weybridge Branch of the Royal Aeronautical Society (RAeS). Overall he noted that estimates put the overall cost of the crisis at anything up to US$1.1tri (OECD estimate), while the EC’s Daniel Calleja Crespo put the direct cost at some €4.7bn. Worryingly, at one of those Icelandic conferences it was announced that it was a “pinhead” compared to some volcanoes in history, even as recently as the last couple of centuries. He then showed images of the engines of Finnish F-18s which had strayed into the ash cloud, with severe damage to the engine turbine blades, while also pointing out the damage discovered after the BA 747-200 (BA Flight 009) flew into the plume of Mt Galunggung, Jakarta, at night on 24 June 1982. “The ash melts and turns to glass,” said Learmount, stressing that there is, potentially, a serious threat to aircraft safety – but at what concentration levels? So why didn’t the Europeans handle the situation very well? 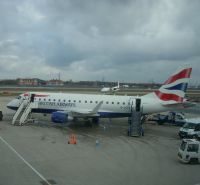 British Airways’ Standard Operating Procedure (SOP) required pilots to fly at least 100 nautical miles from the visible plume, yet “BA’s experience was not logged – it was just anecdotal... you couldn’t expect the CAA to formulate policy on the basis of that!” Furthermore, said Learmount, “BA and Rolls-Royce wouldn’t talk during the event”. In fact, he added, “All the engine manufacturers were very nervous – they were scared that if they [stated a safe] level (g/m3) the lawyers would get them.” (He noted too that manufacturers and airlines are also “to a certain extent scared to death by the lawyers”). He noted that the International Volcanic Ash Task Force (IVTF) had started to make progress and that Europe now has a volcanic ash contingency plan covering Europe and the North Atlantic – this is the three-zone system set up after the initial six-day shutdown last April, with a No-Fly Zone (NFZ) at the core, Time-Limited Zone (TLZ) around that, and a Enhanced Procedures Zone (EPZ) around that. “But to go into the TLZ you need to know engine characteristics for your particular aircraft. Also you need an inspection after.” The end result, he noted, was what the operators wanted – for risk management to be transferred from regulators to aircraft operators. Learmount noted how incredibly “clued up” Alaska Airlines was on the risk of volcanic ash plumes, with pilots doing drills in simulators to prepare for possible ash encounters. “No pilots from Britain, France etc are drilled in this!” The Alaskan guidance is primarily designed for night and low visibility conditions where the ‘plume’ cannot be seen by pilots – with flight plans requiring a route at least 35nm clear of the plume or forecast position of the plume. In addition, “they have radar and video cameras watching the volcanoes. Alaskan takes it very seriously, not a John Wayne attitude [that some think, wrongly, US operators have] at all,” stressed Learmount. A short discussion followed the lecture which centred primarily on BA Flight 009, which lost all four engines after flying through an ash plume at night. Members of the audience variously noted that the aircraft had been in a terrible state when it returned, having re-lighted the engines once well away from the plume (for example it had been effectively ‘sand-blasted’, and Captain Eric Moody could hardly see out of the cockpit to land). It was also noted that the scratches often observed in sunlight on aircraft windows are from ash and sand in the atmosphere. Stewart John, former Cathay Pacific Chief Engineer, noted that he had been present when the engines of BA009 (Rolls-Royce RB211 D4 turbofans) were inspected, and they were in a very bad way – although much of the ‘caked’ ash had cleared out of the engines once they flew out of the plume and they could be restarted. He noted the economic impact on the aircraft itself was severe, an engine overhaul costing over US$6m not to mention the impact on its usable life. Finally, a lady in the audience said that she knew one of the passengers from BA009, who said that the 17 minutes when the aircraft was a ‘glider’ was the longest of their lives! British passengers who suffer flight delays of more than three hours could claim compensation from their airline, following a County Court hearing in Middlesbrough last week. The case concerns three Thomas Cook passengers who were claiming compensation for a delay of more than 28 hours on a flight from Manchester to Las Vegas. The Judge ruled in favour of the plaintiffs but the airline successfully applied to have the case ‘stayed’ pending a referral to the European Court of Justice. Acting for the passengers is a company called EUclaim whose Chief Executive Hendrik Noorderhaven said: “It is vitally important that passengers who may have such claims now pursue them and bring them to the attention of the airlines as soon as possible”. 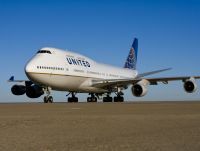 United Airlines has unveiled a Boeing 747-400 in its new rebranding following the merger with Continental Airlines. This is the second ‘new’ 747 in just over a week, Boeing themselves rolling out the lead 747-8i eight days ago. 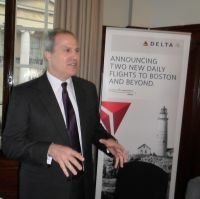 Boston and Miami will be two new destinations for Delta Air Lines at Heathrow from 27 March. The airline is probably the major benefactor of the 2008 North Atlantic “Open Skies” arrangement established at Gatwick before that time and now with up to 10 daily departures out of Europe’s premier gateway. Also contributing to its growth is the takeover of Northwest Airlines and its Detroit/Minneapolis routes and membership of Skyteam. The partnership with AF/KLM has given Delta more slot opportunities and Premium Class customers can also use the excellent Alliance lounge in T4. Further slots were acquired via the approval of the American Airlines, British Airways and Iberia marketing arrangement. Amsterdam (AMS) is the latest European gateway to offer direct non-stop services to Buenos Aires, KLM returning after a 10 year gap. The 11hr flights will be operated by two-class Boeing 777-200ER aircraft, ideally suited to the operation with 35 passengers in World Business Class and 283 in Economy. 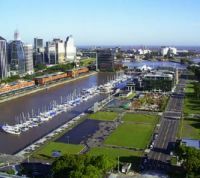 Buenos Aires, with 14m inhabitants, is one of the most important destinations in the fast growing Argentinean market and a very popular business and tourist destination for European travellers with the Netherlands an important import/export trading partner. easyJet, with 50m passengers annually and close on 200 aircraft, is now Britain’s largest airline. It is also becoming the most forward thinking (readers may recall the “ecoJet” of June 2007 – said to be still alive). easyJet’s latest initiative is lightweight, thin nanotechnology polymer coating. It works by reducing build up of debris and reduces drag across the surface of the aircraft thus reducing the fuel bill and is estimated could save 1-2% annually equating to a £14m reduction in fuel costs. One of life's true gentlemen Peter Joel was Pan Am’s British PR man at the time of the Lockerbie air disaster. With the airline’s Directors literally locked up in their Grand Central New York office his task was unenviable but even that he carried out with dignity. Peter's career began as a reporter at the Surrey Comet which led to posts on other papers and journals including Travel Trade Gazette. 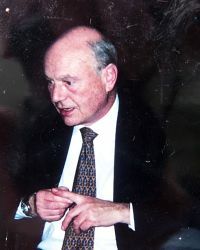 In the 1970s he joined Pan Am as Public Relations Director, Pan Am UK. He was a past Chairman for the Airline Public Relations Organisation (APRO). Peter went through Pan Am’s Tenerife airport disaster and then the living nightmare that was Lockerbie, a pivotal time in so many respects: the speed of communication, terrorist activity, mass media interest. Peter was in the thick of it with none of the support and training that airline staff receive today. Peter carried that trauma of Lockerbie with him for the rest of his life and suffered poor health for some years before his death. Cardiff city centre (South Wales), Paignton seafront (Devon), Horsham town centre (West Sussex) and Southgate (North London) are the latest destinations to be added by Travelodge, which claims to be Britain’s fastest growing hotel chain. 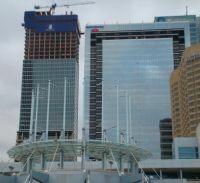 Under construction is a further 36 properties. In a progress statement he reported sales in London up 16% and the Provinces up 12%. Total rooms sold rose by 13% to 7m. Over half of the Travelodge hotels being developed are situated in major UK cities. There are eight hotels being built in London, with three opening this year – this will mean Travelodge will become the largest single hotel brand in the capital this spring. The annual Daily Telegraph Cruise Show returns to Olympia’s Grand Hall 26-27 March 2011. Whether you are new to cruising and need help to plan your first ever voyage, or a seasoned cruiser looking for inspiration for your next holiday at sea, it has quickly established itself as a MUST. On the Sunday there are no parking restrictions. Olympia has its own Underground station and is also part of London Overground with frequent services to both Clapham and Willesden Junctions with connections at either end. Polar cruise specialist Explore! and Great Rail Journeys, who combine rail travel with leisurely river cruises are among the newcomers this year, joining regular exhibitors including NCL, Fred Olsen Cruise Lines, Orient Express, P&O Cruises, Royal Caribbean International and Silversea. When reading cruise reviews I have found many featuring a great number of negative elements, which can be enlightening, so long as they're taken with a pinch of salt and the understanding that they were probably written by people who are inherently extremely hard to please. My wife and I escaped the UK weather last December after securing an exceptional price reduction on Royal Caribbean (RCCL) – Independence of the Seas – leaving Southampton on 10 December for the warmth of the Canaries. 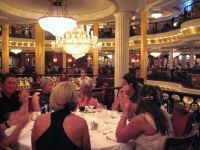 We like to think of ourselves as experienced cruisers but this was our first cruise with RCCL and was booked before I had looked at any reviews. After reading the first couple of reviews, I realised that I may have been too hasty in making the booking before doing the usual checks. One such review stated that there were 800 children on board, some creating havoc, with not a parent in sight, but that shouldn’t detract from the many that, I am sure, had a fabulous time. With an obvious emphasis on families it may be tempting to believe that child-free cruisers will be overrun by children. However, as you would expect on a ship of this size there are the peaceful areas, and as this cruise was just prior to Christmas children were not in abundance and those on the cruise were in the main well behaved. For youngsters there is a range of age related activities and facilities – Babies & Tots (6 to 36 months); Adventure Ocean (3 groups covering 3 to 11 years); Teens (two groups covering 12 to 17 years). 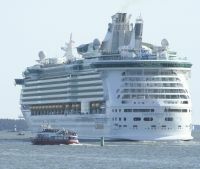 Independence of the Seas went into service in May 2008, has a 154,407 GRT, is 1,112ft long and 185ft wide with a cruising speed of 21.6 knots. It has 1,817 staterooms of which 1,084 are Ocean View (842 with balconies), 733 Interior staterooms (172 Promenade View). The embarkation was trouble free and was the most efficient we have experienced. We arrived at the terminal at around 12 noon, dropped our cases at the luggage point, then went and parked the car, after which we had a short walk back to the departure lounge. A friendly welcome at check-in, then straight through security and we were on the ship. We were advised on arrival that cabins were not available until 14:00, so whilst waiting we had lunch in the Windjammer restaurant. Our roomy balcony cabin was on deck 9, it was spotlessly clean and extremely well designed and had a spacious open wardrobe, flat screen TV and a small but adequate en suite bathroom. Whilst cabins have kettles, only tea bags are supplied, but having read the reviews, we were aware of this and brought our own coffee – and the teabags were so weak you felt like giving them the kiss of life, they were totally flavourless. There are three main restaurants, King Lear, Romeo & Juliet and Othello with the Windjammer Café for breakfast and lunch, but it also opens for dinner for the non-conformists. King Lear dining was to very high standard with excellent service. Other eateries are available, but with a small cover charge. The centrepiece is the Royal Promenade on deck 5 with its Café Promenade (open 24 hours a day), Sorrento’s Pizza, Dog and Badger Pub, Wine Bar, Ben and Jerry’s Ice Cream Parlour and much more. The Promenade Café is and can be a relaxing area to have morning coffee or afternoon tea, whilst ‘people watching’. Also along the Royal Promenade are several shops, including Clean Shave barbers shop, Clothes and Souvenir shops plus a General Store. Johnny Rockets, a 50s style diner, boasts a menu of favourites including juicy hamburgers, classic sandwiches, and milk shakes. Cruisers also enjoy that all-American look with tabletop jukeboxes and authentic decor. 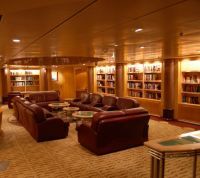 There are many bars and lounges around the ship, our favourite being Olive and Twist, terrific views and great music. 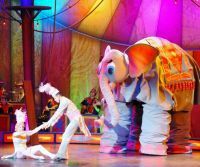 The entertainment was excellent – considering there are families across the age range, the balance was good. Special mention to Mr Joff Eaton (Cruise Director) who was excellent. The Royal Promenade is also the place to be for the fun of the big parade – some of the biggest smiles and obvious enjoyment during the Disney type parade were on the faces of the oldies. The entertainment in the theatre was always good but the ice shows are a must, get your tickets early as they are limited. There were quiz sessions, 'keep fit', aerobics, and dance instruction. Oh yes, I can’t forget the Bingo, in fact the American assistant Cruise Director wouldn’t allow you to forget it, with his constant “Hi De Hi” announcements – I can feel a complaint coming on! Cruising can be relaxing, but if you prefer to be more active on your cruise, Independence of the Seas has a great many options for sport and recreation. There is an ice skating rink, a rock climbing wall, a fitness centre, a full-size boxing ring and a day spa and fitness centre as well as the Flowrider (onboard surfing). Other entertainments include a nine-hole miniature golf course and a casino. With Royal Caribbean we had an exceptional cruise and there is virtually nothing really negative to be reported from our 11 days on board. AmaWaterways will introduce one brand new river cruise ship and one that has undergone a complete rebuild during 2011. In September 2011 the brand-new MS AmaLotus will join MS La Marguerite, to sail the Vietnam, Cambodia and the Riches of the Mekong itinerary. 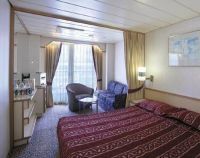 The ship features all-outside accommodations and 226sq ft staterooms. Some 90% of staterooms have a private outside balcony, while suites, at 624sq ft, provide the ultimate in onboard pampering. AmaLotus features a restaurant serving Asian and Western specialties as well as an authentic Vietnamese ‘Lau’ (Hot Pot) dining facility. In addition, there is a lounge, gift shop, spa, fitness room and sauna. The styling is very ethnic. The Sun Deck has a dip pool. The completely rebuilt MS AmaKatarina will be inaugurated on 10 May and is claimed to the most luxurious vessel on the Volga-Baltic Waterway travelling from St. Petersburg to Moscow. The AmaKatarina is being restructured starting from the hull and designed to meet AmaWaterways’ demanding specifications. The ship is unequalled in terms of spaciousness, accommodations and enticing public areas. The only luxury vessel in Russia featuring outside balconies in over 70% of its staterooms, AmaKatarina’s four-suite categories range in size from 280 to 432sq ft.
Azamara Club Cruises has unveiled 54 itineraries ranging from five to 16 nights, between March 2012 and February 2013, aboard Azamara Journey and Azamara Quest the 694-berth former R series boutique ships. 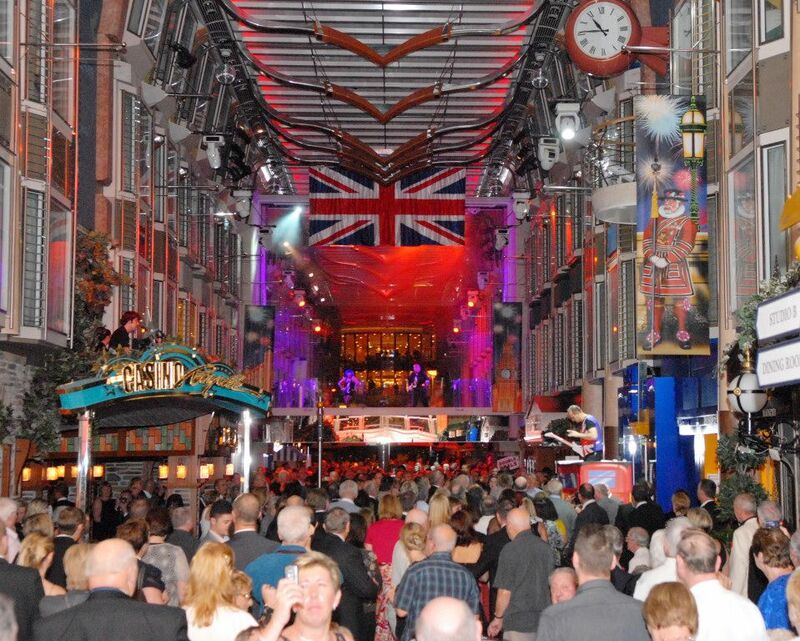 Following a popular trend 51% of all port calls in 2012 feature late night and overnight stays in port, providing time for guests to enjoy more of the area and take advantage of the evening in destinations where the nightlife is vibrant. In 2012 both ships will operate in the Mediterranean during the peak European season with a variety of cruises which includes the Monaco Grand Prix. 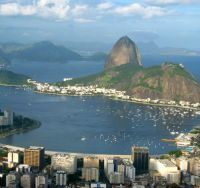 Azamara Quest will sail to South American destinations during the height of their summer, beginning with a 13-night Brazil voyage that departs Barbados on 5 December 2012 and concludes with an overnight at Rio De Janeiro. The Christmas in South America voyage, departing 18 December, offers guests daily port calls as well as an overnight in Punta Del Esta (Uruguay), with its miles of beautiful beaches, luxury hotels and restaurants, and glittery nightlife; and the cosmopolitan city of Buenos Aires (Argentina). Guests on the 27 December ex-Rio nine-night voyage are in for a real treat when, on New Year’s Eve, Azamara Quest positions itself off of Copacabana Beach to offer guests an unforgettable view of the midnight fireworks over the sea. Azamara Journey follows ancient spice trade routes and colonial heritages around the Indian subcontinent to East Asia, starting with a 13-night Spice Coast & Ceylon voyage from Bombay (Mumbai) to Madras (Chennai – India), departing 29 November 2012. On 23 December, Azamara Journey embarks on an exciting 14-night Southeast Asia voyage to Hong Kong, offering two-night calls at Bangkok (Klong Toey – Thailand), and Ho-Chi Minh City (Vietnam), and an overnight at Hanoi in the UNESCO World Heritage Site of Halong Bay. Britain’s third annual National Ferry Fortnight will take place this year between 14 and 28 May, industry body the Passenger Shipping Association (PSA) has confirmed. Supported by all ferry line members of the PSA, the two-week showcase was created to heighten consumer and media awareness of Britain’s extensive ferry services of over 50 routes. Continuous investment in modern, versatile fleets has seen more people travelling by ferry, with some 35m passengers, 8m cars and over 140,000 coaches carried in 2010. PSA members including Brittany Ferries, Condor Ferries, DFDS Seaways, Hovertravel, Isle Of Man Steam Packet Company, Irish Ferries, LD Lines, P&O Ferries, Red Funnel, Sea France, Stena Line and Wightlink will take part in National Ferry Fortnight. Central to the campaign will be a series of promotional offers on ferry routes to the Continent, Ireland and UK islands which will be announced nearer the date and promoted on the www.discoverferries.co.uk website. Crystal Cruises is returning to Alaska this coming season for the first time since 2005. Crystal Symphony will make nine 12-night round-trip sailings from San Francisco from May through August to Victoria, Vancouver, Sitka, Juneau, Skagway/Haines, Ketchikan and either Hubbard Glacier or Glacier Bay. The “six-star” line is placing much emphasis on the off ship excursions noting that guests can explore the state’s waterways by safari boat, private catamaran, white-water raft, canoe, kayak or WWII duck vehicle. They can view the breathtaking landscapes and wildlife by seaplane or helicopter, or stay planted on terra firma in a horse-drawn trolley, ATV, jeep, sled, motorcycle, old-fashioned railcar, private Hummer or Unimog 4x4. Extreme adventurers can rock climb, flyfish or zipline over rainforest canopies. Hebridean Princess, the 50-passenger luxury cruise ship favoured by HM The Queen has completed her annual winter refit. Key renovations have been made including the introduction of two new single grade cabins, each with their own private facilities. For 2011 new itineraries include the Grand Cruise to the North and St Kilda, An East Coast Adventure and the Grand Celtic Cruise providing guests with the opportunity to further explore the dramatic British coastline and discover new waters in Northern France and Ireland. L’Austral is the latest ship to join La Compagnie du Ponant's existing fleet, the fifth in a series of mega-yachts. With 132 cabins it is the result of the expertise of the Italian Fincantieri shipyard and French sophistication. So many personal touches create the spirit of a “private yacht”. Guests will encounter unique itineraries, calls inaccessible to large ships, chic and elegant yacht-like ambiance, refined and personalised service, as well as gastronomic cuisine. Just as on a private yacht, passengers are free to do as they wish at their own pace. All the crew on board the fleet are totally fluent in both English and French. London is to gain a proper cruise terminal in time for the 2012 Olympics. Ships of up to 50,000 tons, about the size of Crystal Symphony, will be able to use the facility. Greenwich Council has approved plans to provide docking facilities at Enderby Wharf on the south side of the Thames close by the National Maritime Museum which will include a 251-room hotel. Enderby House, a Grade II-listed building, will be extended to provide tourist, community and retail facilities as part of the plan. Waterbus services will be provided towards the O2 Arena, Canary Wharf and the various landing stations towards Westminster. A Transport for London cable car link across the River Thames is also planned, linking the Greenwich Peninsula with the Royal Victoria Dock in Newham. Ships that use the site will have to moor well out in the river due to the tides. Access problems will be overcome by the use of a docking facility in deep water linked by a bridge. Customs and immigration facilities will be provided. Princess Cruises is to broadcast live the Royal wedding of Prince William and Kate Middleton on 29 April. Passengers will be able to follow full coverage of the BBC’s broadcast across all Princess ships with its popular “Movies under the Stars” screens. Popcorn and blankets will be provided where the timings mean an evening event. (In some time zones the broadcast may be delayed for viewing at a convenient hour and all transmissions are subject to satellite availability. Celebration parties will also be hosted onboard including special Royal-themed cocktails, Royal wedding trivia and a William and Kate look-alike contest. Saga’s two ships Ruby and Pearl II will be visiting a number of ports that are completely new to the specialist operator this year, including Halmstad in Sweden, Ørsta on Norway’s west coast and the historic city of Split in Croatia. At the present time Ruby is on a World Cruise, sailing east, whilst Pearl II is meandering around the Caribbean before returning to Southampton towards the end of March and a full European season. Star Clippers, the tall ship sailing specialist, are to bring Star Flyer to the UK next year for the first time since the vessel's launch in 1991. This remarkable 170-passenger vessel is a real head turner, and is operated manually, with the help of power winches, by a 72-man crew (including a few ladies). During summer, Star Flyer will cruise out of Copenhagen, Hamburg, Oslo and Stockholm as well as to and from Southampton. Star Flyer will be seen in the Solent and harboured in the British port on 5 May and 1 September 2012, attracting plenty of attention with her four masts, thousands of square feet of sail and graceful lines, modelled on the great clipper ships of the 19th century. She then departs for a five-night voyage to Hamburg, via Amsterdam – a unique chance to sail on a genuine tall ship from a British port, with two days at sea included, on which there will be plenty of chance to relax on the teak decks, learn about the wind, stars and navigation or even help the crew hoist the sails. The five-night sailing costs from £1,035 per person, including all meals on board and port taxes, excluding return flights from Hamburg.